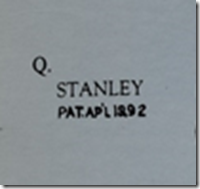 All features of TYPE 6 except Bailey’s name & patent dates eliminated from adjustment nut and cap iron. *Adj. nuts in most planes of this type have left hand threads. Q. 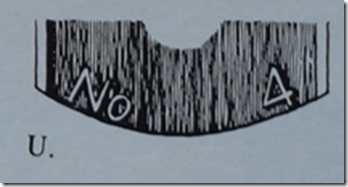 Trademark with patent date on all irons in planes of this type. 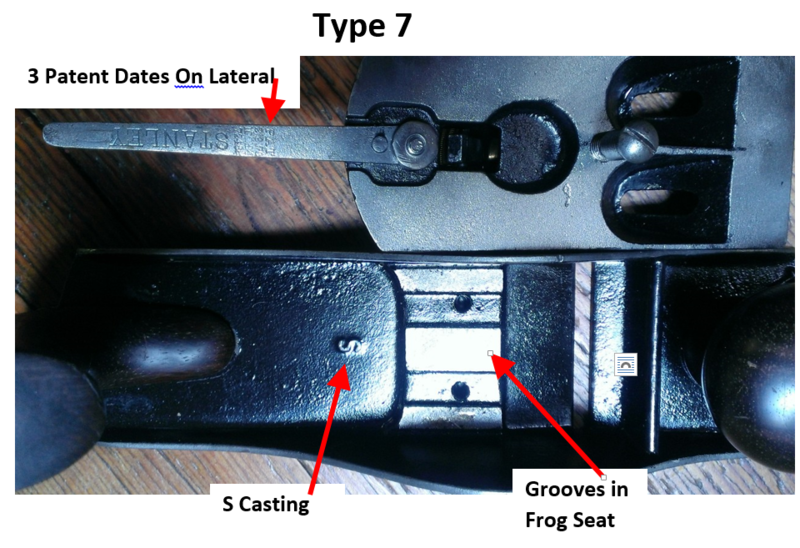 The letter “S” cast into the frog, lever cap, and/or bed is likely the mark of the Sessions Foundry, who contracted with Stanley to produce their castings. I restored a type 7(?) #7. It fits the descriptions of a type 7 with everything except it has right handed threads. 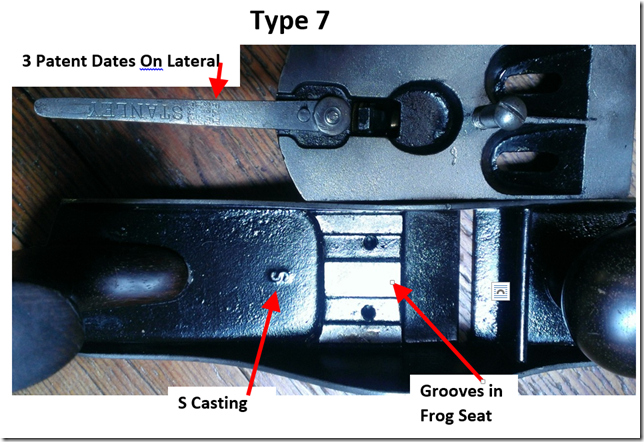 Right handed threads went out with the type 5, which is a different frog style. I’m a bit intrigued. Anybody ever seen right handed threads on a later plane.